Yesterday was spent photographing birds with Jerry Liguori. It was such a full day that I forgot to wish my mom happy birthday. I accept the label of a terrible son. Sorry mom, Happy Birthday. I find that surrounding myself with those that are more skilled and knowledgable than myself helps me learn quite a bit more than I might alone. Birding with a man like Jerry Liguori should have been highly intimidating, but I felt very comfortable being myself and exposing my identification weaknesses. He is a very humble person, willing to teach and share his passion. Jerry has some incredible photography equipment. You can look through the guides on raptor identification that he has published and see that he knows his stuff regarding bird photography. I was excited to see him in action, and perhaps pick up on some of his techniques. Seeing my camera and lens against his, Jerry kindly offered me the opportunity to use one of his set ups for the day. Taken aback, I accepted the offer. What followed was the best day of bird photography I have ever had. As we continued, Jerry took the time to teach me some general techniques of using the camera on manual. I really learned a lot about the hows and whys of photographing raptors. I was so grateful that he was willing to take the time and energy to show me how to share in the experience. From my experience with Jerry, he teaches those who share his passion not from an ego, but from a true love of the birds. I personally feel that with true passion comes a desire to share and infect others with that same passion, and I see that in the way Jerry interacted with me. From the start, Kestrel’s were every where to be seen. I have never been able to get as close to birds as I did with Jerry. He says he has the best luck, for whatever reason. I would be skeptical, however, we had some great experiences with tolerant birds. Here are two Kestrels, the first a docile male atop a sign, and the second, a hungry female feasting on an unlucky Marsh Wren. 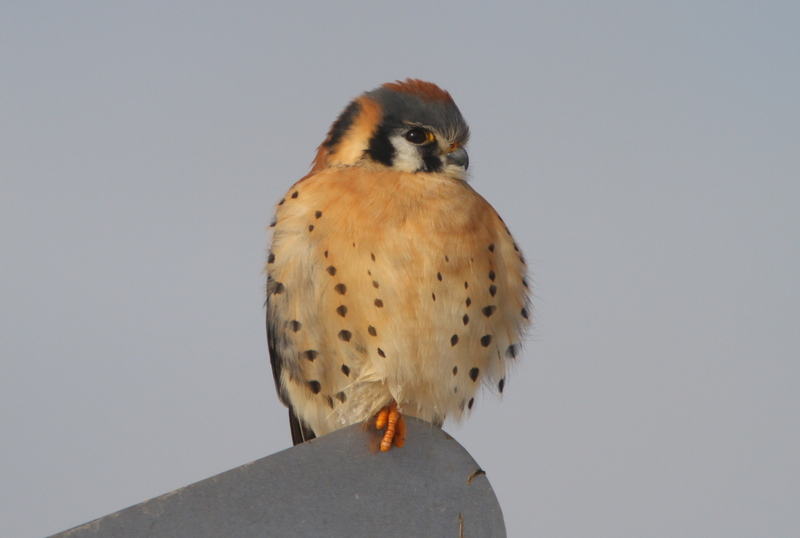 Although common, I never pass up the opportunity to observe a Kestrel. They are a lot of fun to watch. 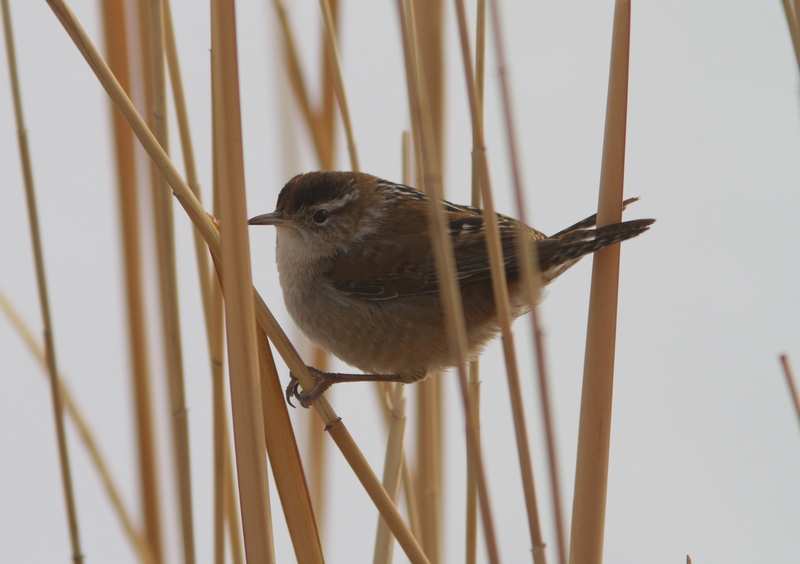 The female munching on the Marsh Wren was very tolerant of our intrusion. As we watched her eat, we could see feathers fly as she ripped them from the bird. 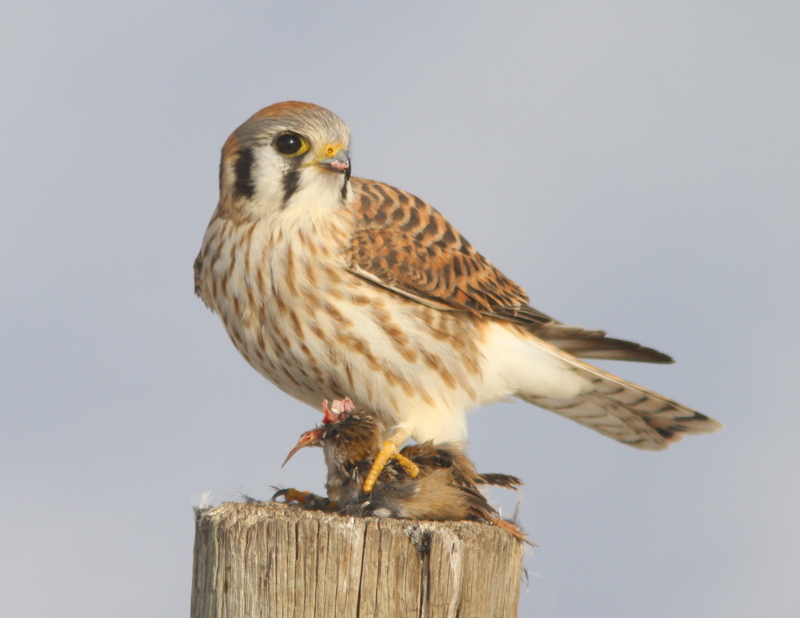 Admittedly, both Jerry and I assumed the Kestrel was feasting on a vole or field mouse. 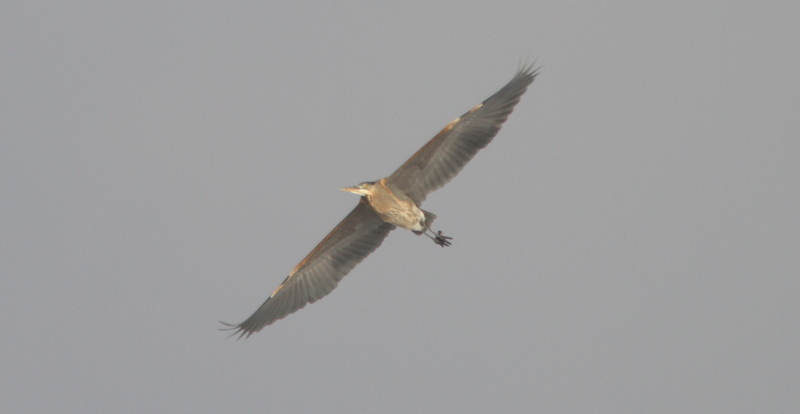 It wasn’t until I reviewed my photos at home that I discovered what the bird’s meal actually was. 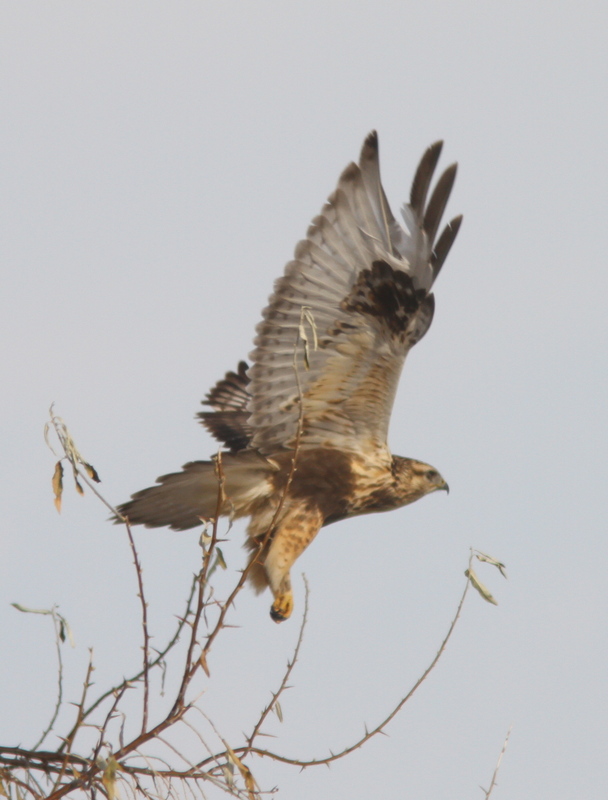 Another species that seemed to cover the marshlands in large numbers was the Northern Harrier. Again, as common as the bird is, it is always enjoyable to watch it wander low above the marsh, occasionally making acrobatic moves at unsuspecting prey. 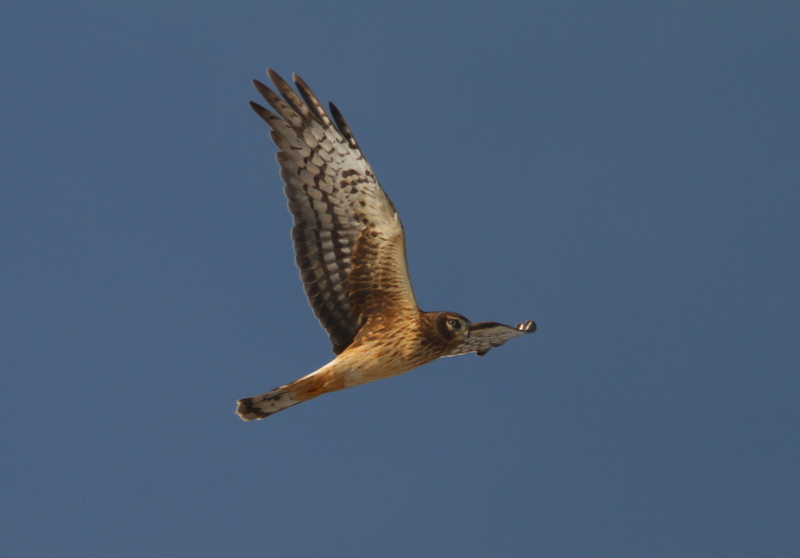 We spent some time driving alongside many Harriers, photographing as we drove. 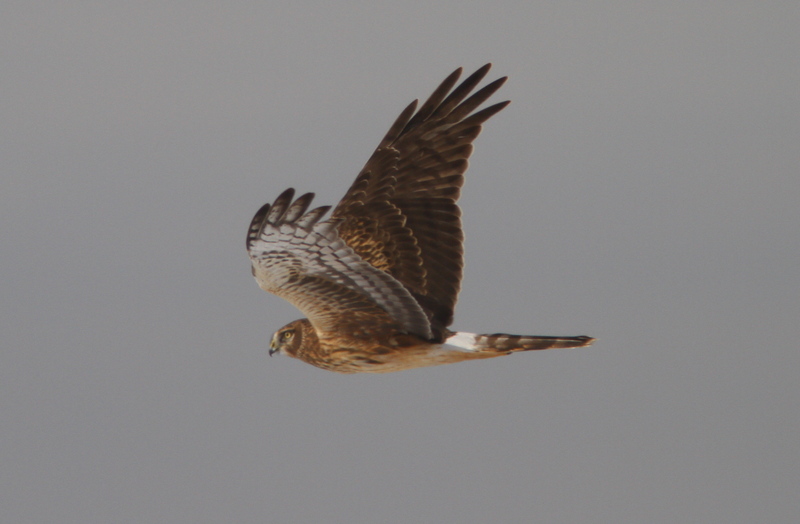 Northern Harrier- Circus cyaneus. Juvenile. 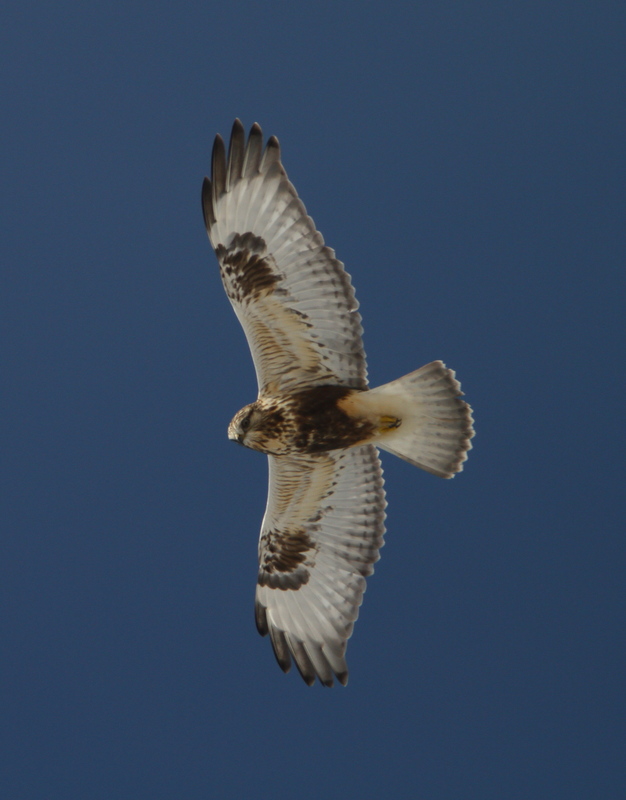 Another bird that was fairly numerous was the Rough-legged Hawk. According to Jerry, we didn’t see as many as usual, but to me the numbers were acceptable. All of the RL’s that I photographed are juveniles, which I found interesting. One particular individual was missing p7, a bird that Jerry had photographed a few weeks prior when the feather was dangling but not fallen. I did my best at getting a decent photo of the distant bird. The sun was in and out as the day went on. 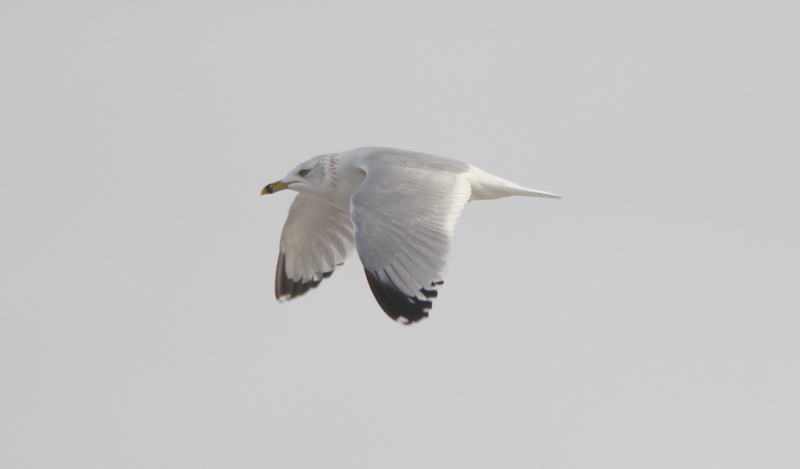 We found a RL on the wing taking advantage of a sunny spell and good thermals. Directly underneath the circling bird, I shot to my hearts content. I came away with some great photos as the bird rose on thermal updrafts, observing the strange behavior of the two mad humans below. Although the day was definitely dedicated to photographing raptors, I had the opportunity to take the time to capture images of a number of species outside of the raptors. While I was photographing some waterfowl, I saw a friend Debra, and she informed that I had missed the opportunity at seeing two Great-horned Owls roosting. That was disappointing, but I was glad to come away with the birds that I did. 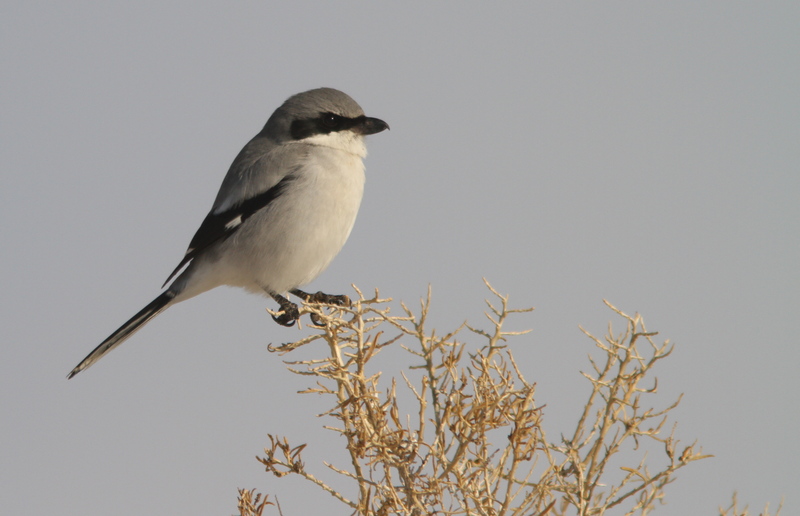 As we drove along a winding road, we spotted a Loggerhead Shrike only meters off the road. Surprisingly, the bird did not fly when we stopped directly beside it. I fired a number of shots, then took the time to simply watch. As I watched, Jerry stopped photographing to check the quality of his images. At that moment we both missed the opportunity to catch the shrike expelling a pellet in a dramatic fashion. We continued with a win some lose some mentality. I believe that when photographing birds, if you do not preemptively adopt this mind set, you will certainly go mad with missed opportunities. 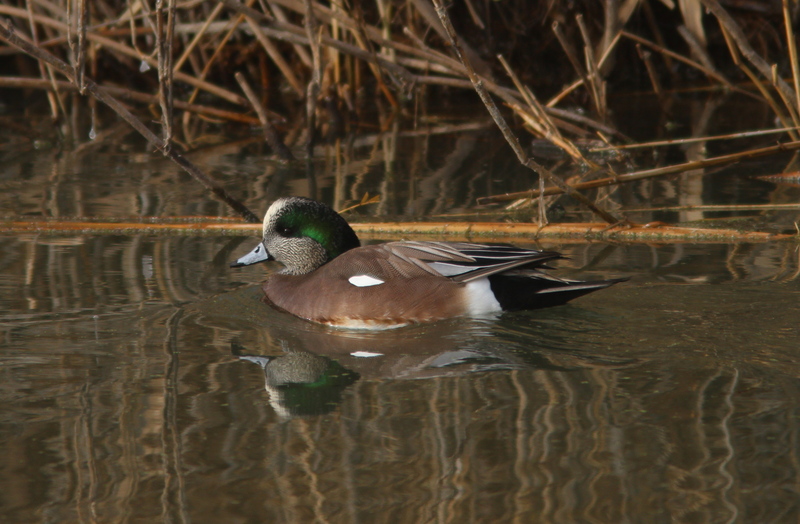 It was an exceptional day of birding. I am very grateful for Jerry Liguori’s willingness to share his time and equipment with me, and teach me some things about a world we both find fascinating. I hope to join Jerry in the field again very soon. It must be in the very near future, because in a few weeks I will be moving to southern California to work as a biologist conducting nest surveys for a consulting firm. 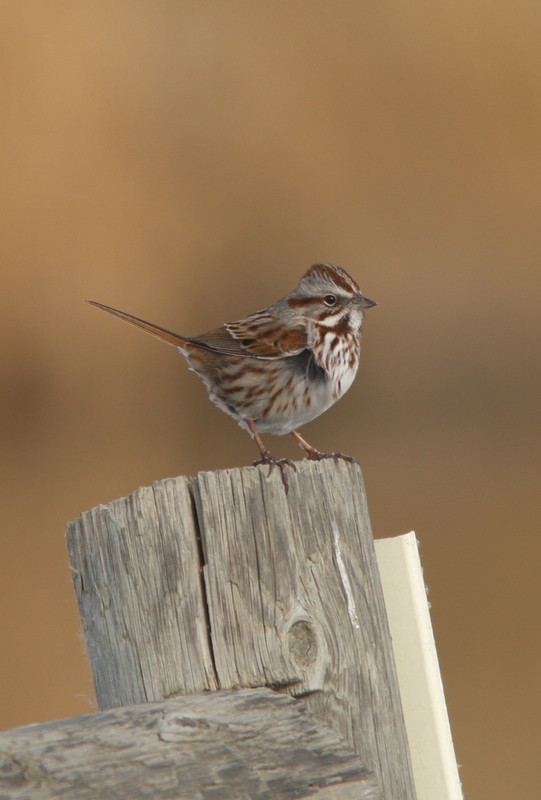 I want to get in as much Utah birding as I can before I leave, but I will certainly continue my study after I relocate. Soon the species that are featured will change as I travel. The ebb and flow of life is truly something to embrace, and embrace it I shall.